Collects Marvel Super-Heroes (1967) #15; Incredible Hulk Annual (1968) #1; Fantastic Four (1961) #81-83, 99; Amazing Adventures (1970) #1-10; Avengers (1963) #95 and material from Fantastic Four (1961) #95, 105; Not Brand Echh (1967) #12. 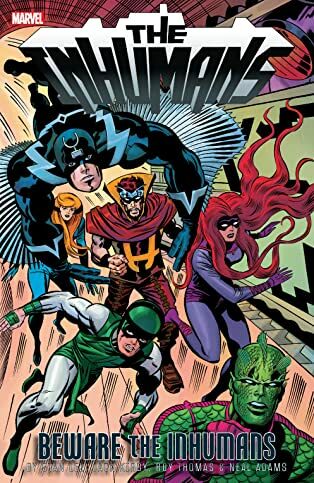 From Stan Lee, Jack Kirby, Roy Thomas and Neal Adams — the titans of the Marvel Age — come the Inhumans! For the first time, the stories that defined these regal outcasts are brought together in one collection starring Black Bolt, Medusa, Karnak, Gorgon, Crystal and the loveable Lockjaw! 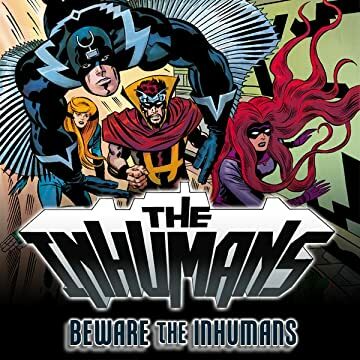 Their quest for peace is threatened not just by a world that fears them, but also by Black Bolt's own brother, Maximus the Mad, and his evil Inhuman cohorts! It's a family epic full of intrigue and treachery, told in the mighty Marvel fashion — as only comics' greatest creative talents could craft it!